케이프 타운 - 케이프 타운에 위치한 캠핑장. 케이프 타운의 지도, 케이프 타운에 위치한 캠핑장에 대한 사진 및 리뷰. 케이프 타운에 호스텔, 저렴한 호텔, 아파트, 게스트 하우스, B & B를 찾고 계십니까? 케이프 타운의 모든 최고의 가격은 kr.Dorms.com안에 있습니다. 매달 수천명의 여행자들이 이곳에서 예약을 진행하시듯이 고객님도 케이프 타운의 저렴한 가격에의 호스텔을 안전하게 예약하실 수 있습니다. 웹사이트에 고객님이 원하시는 핫 트렌디 시내 주변의 호스텔을 쉽게 찾을 수 있으며, 대학가, 기차역, 공항, 모든 케이프 타운의 관광명소에서 가까운 호스텔을 찾을 수 있습니다. Our hostel is located near the famous Mariner's Wharf Restaurant the first harbourfront emporium in Africa and the Southern Hemisphere. Just 20 minutes from Cape Town, and easily accessible by public transport. We suit budget travellers wanting to explore Hout Bay (restaurants, harbour, beach, seal island, world of birds), or to hike Table Mountain National Park or bike Chapmans peak and surfers wanting to surf Llandudno. Shark cage diving among other trips can also be organised in our area. 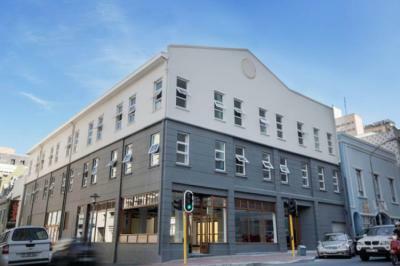 Situated on the vibrant Green Point “strip”, we are surrounded by trendy restaurants and bars, overlook the Cape Town Stadium and in walking distance of the famous V & A Waterfront and Cape Town CBD. 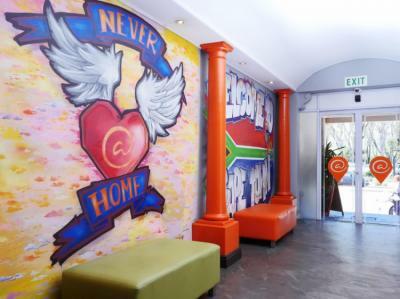 Easy access to public transport provides guests with rapid access to Long Street (South Africa’s most famous party destination), Table Mountain (a new 7 wonder of the world) and some of the best beaches Cape Town has to offer. 보기는 정말로 당신이 날을 주변에서 lazing하는 데에 쓸 수있는 완벽했다. 숙박 시설로 꽤 이상 기본 아니 주름이지만 센터에 몇 분 배낭에 이상적입니다. 친절한 직원 환영. 숙박 시설은 특히 사랑 스럽습니다. 특히 바다 옆에서 잠에서 깨어나 상상할 수 있다면. 그 지역은 매우 바람이 불고 있기 때문에 때때로 모래가 될 수 있습니다. 희망 그들은 모든 여성 기숙사를 제공합니다. Endroit tres bruyant à cause de gros travaux et des extracteurs d’air juste à cote de la fenêtre de la chambre dortoir 6 lits filles. Le manager n’a pas été agréable aussi, par contre l’equipe était plutôt sympathique. C’est une grosse auberge avec bcp de passage, j’ai moyennement aimé etje ne recommanderai Pas ce lieu. They make you feel at home the moment you step inside the hostel. The travel desk is very efficient on information and activities you cna do to make the most of your stay in Cape Town. Clean and comes with a pool! Will definitely be back. 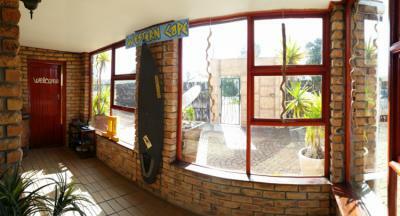 The hostel is close to the Waterfront, within walking distance on all points of interests. The staff are genuinely friendly, approachable and hospitable. They serve a really satisfying breakfast for an extra charge. There is also an inhouse bar whose food and drink does not disappoint. 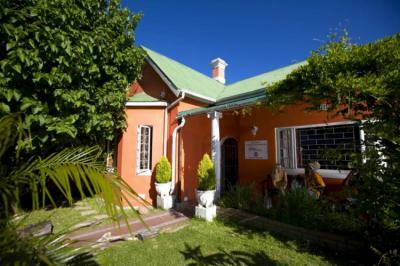 We are situated in Table View - a short bus drive from the City Centre. Table View is a very safe neighbourhood. We are walking distance to the beach, where you can enjoy the beautiful view of Table Mountain. SaltyCrax Backpackers is ideal for the watersports enthusiast. 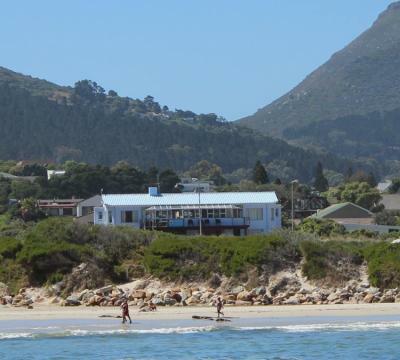 We are situated close to the beautiful white beaches of Blouberg and the famous Kite Beach. Supermarkets, cafes, bars, restaurants and shops all right here. 우리 호스텔에서 활동 패키지를 예약 할 수도 있고, 큰 경기를보고, 타조 라이딩, 라이온과 함께 산책, 고래 관찰. 번지 점프 및 우편 줄 여행. 호스텔은 Observatory Train Station에서 불과 200m 떨어져 있습니다. V & A 워터 프런트 (V & A Waterfront)는 차로 15 분 거리에 있으며 케이프 타운 국제 공항 (Cape Town International Airport)은 호스텔에서 차로 20 분 거리에 있습니다. Near Kite Beach, safe neighbourhood, great new bathroom, loved the shower! nice atmosphere and with a good location. clean and good size of hostel. Positive good people, good atmosphere, really clean place ! Very friendly staff, very clean and peaceful place. The main thing is its a very safe place to stay. Also the hostel provides safe big locker to keep my laptop and other stuff! I like the concept of self catering facilities. In kitchen you can cook food, keep your fruits and vegetables in boxes provided and also big refrigerators. Also i would like to thank Ferdinand for all the help! The nearest airport is Cape Town International Airport, 24 km Table Mountain 24 km away Kite Beach (sun, surf, kitesurfing and windsurfing) Rietvlei (Windsurfers) Rietvlei Nature Reserve (bird watching) Big Bay Bloubergstrand (Kite, surf, windsurf) Bayside Mall Moyo Restaurant Durbanville Hills Wine Estate and more Forenria Italia Cheese Shop Tattoo Parlour Cafes, restaurants, shops, markets and bars all nearby. 효율적인 직원, 수용 및 친절. 편안한 침대와 아늑한 분위기. 그것은 실망시키지 않았다. 그것은 내 머무는 동안 조용하고 평화로웠다. 내가 필요한 것. 호스트와 직원들은 친절하고 도움이되었습니다. 나는 가까운 쇼핑 센터까지 걸어 갈 수 있고 해변도 비교적 가까웠다는 사실을 좋아한다. This Hostel is a great hostel. we love every minute of it. Super clean hostel with a great breakfast. I recommend.